National Novel Writing Month is only a few weeks away. Some of us might already be plotting away, drawing up outlines and character charts. Others of us are more nebulous in our preparation, letting our subconscious work out the details as Nov 1st draws closer. Whatever your chosen writing style, writing a novel in a month is a massive undertaking. Even an attempt is something to be proud of since many never get further than dreaming of their stories. With that in mind, we would like to encourage you to commit to writing more diverse characters this November. This is something we know sounds like more work, but we promise it’s no more work than what you’re already doing. We’ll be here to help you along the way, too. Not only will you have all the information available on the website but we’ll be answering questions on our Facebook page as well. So look at/think about your story and explore ways you might be able to show diversity. 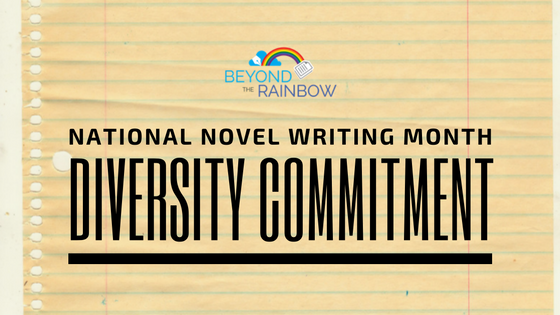 Make the commitment to writing diversely. Join the WriMoDiversity commitment today to show your support. 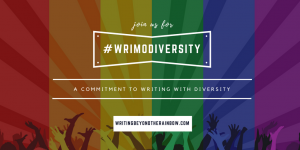 Tweet #WriMoDiversity, post on our wall or submit to our Tumblr and tell us how you plan to explore diversity in your story. Remember to be honest, accurate and respectful. Below are badges you can display on your blog or website or share on your social media to show your support along with ready-made tweets and posts to copy&paste. 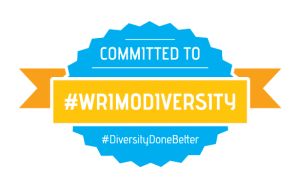 Don’t forget to share on the #WriMoDiversity tag throughout NaNo to let us know how you are doing. We look forward to seeing your tweets and posts. 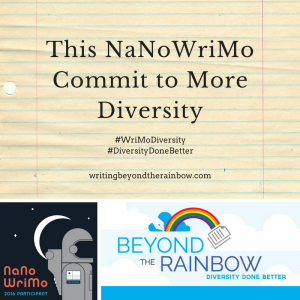 Join me in my commitment to writing with more diversity for NaNoWriMo. All month I will be looking for ways to add more diverse characters into my story. I have made the commitment to write more diversely for NaNoWriMo. Please join me as I look for ways to add more diverse characters into my novel. 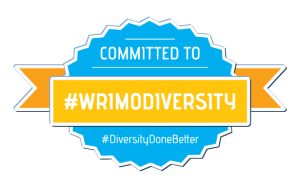 Join me in my commitment to #WriMoDiversity for NaNoWriMo. I have made the commitment to #WriMoDiversity this NaNoWriMO.